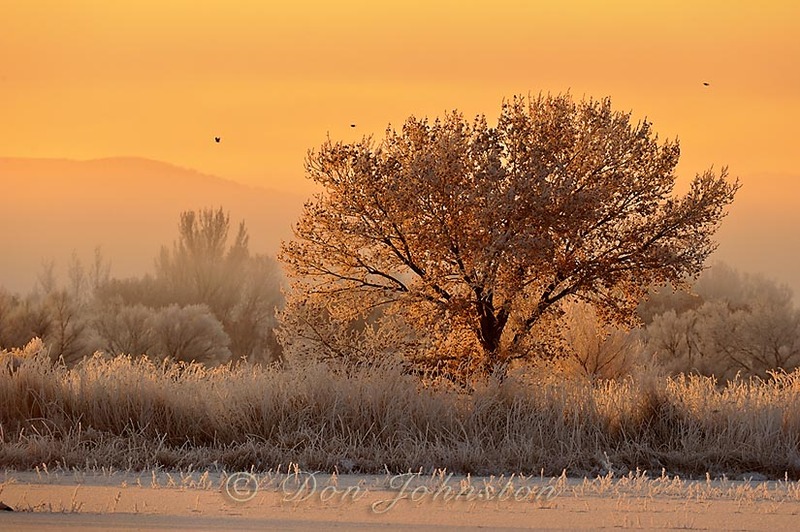 Bosque del Apache National Wildlife Refuge in New Mexico is the winter home for thousands of waders and waterfowl. 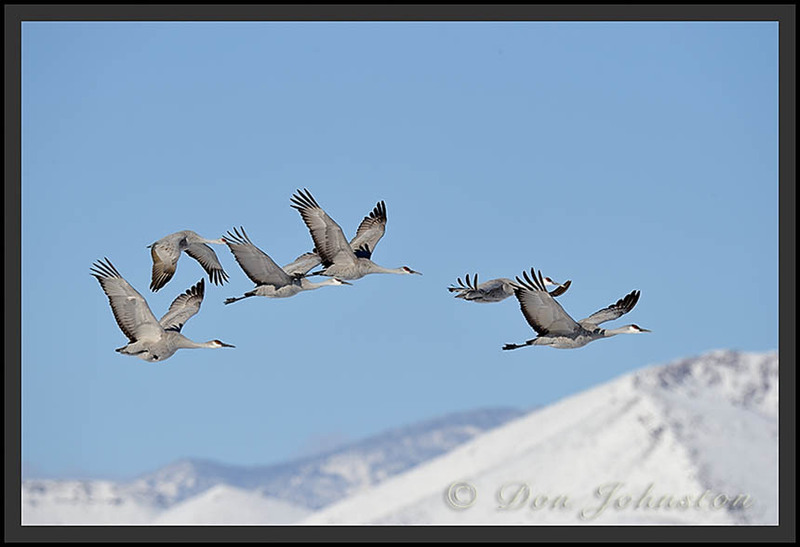 The visitor center boasts the bird counts and the snow geese, sandhill cranes and ducks number in the tens of thousands. It is a magnificent spectacle, drawing nearly as many birders and bird photographers (slight exaggeration). The bird photographer needs to arrive an hour or so before sunrise just to secure a decent vantage point for the awesome ‘blast offs’ or fly outs by the geese and later the cranes as they take off to feed in nearby grain fields. This is what the photographers come for. 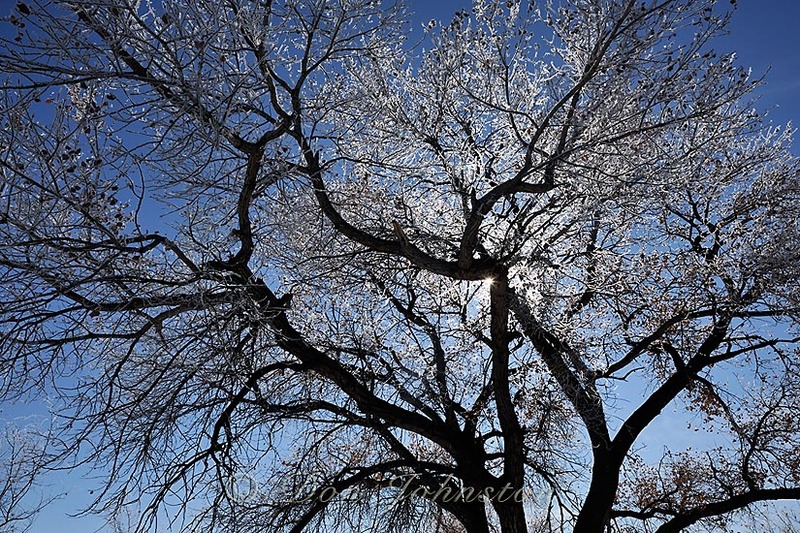 We had the ‘pleasure’ of photographing Bosque under unusual winter conditions. 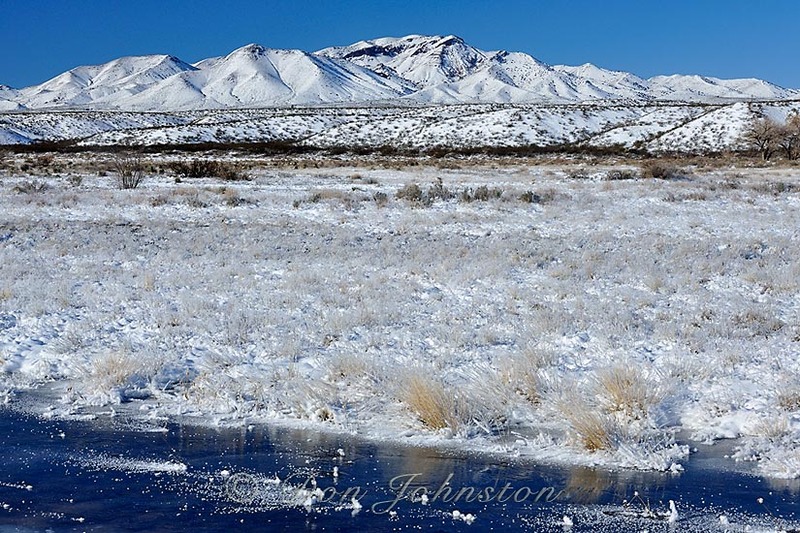 Sure, the refuge gets snow on occasion but never in the amounts, coupled with the extreme cold temperatures as we experienced in early December this year. Our Bosque veteran tour leaders, Gordon and Cathy Illg remarked that not only have they never seen conditions like these before, they have never seen pictures of conditions like these before. 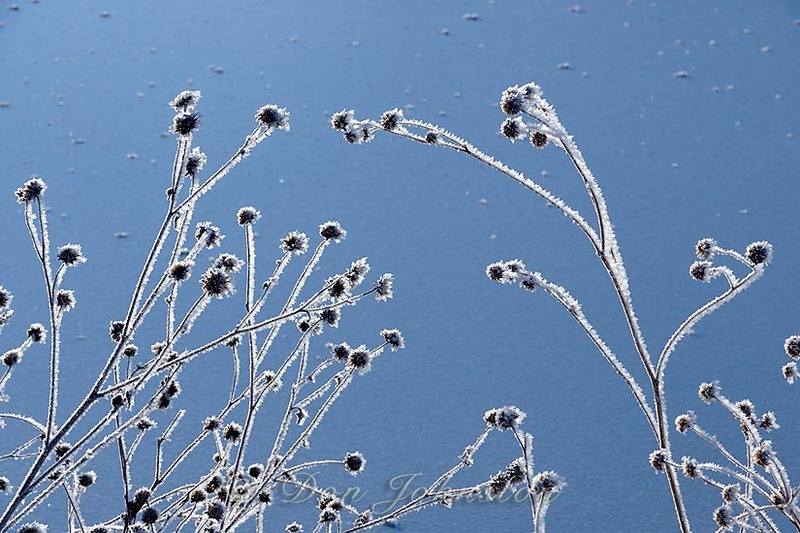 While I love photographing wildlife I am also partial to landscapes, plants, and abstract patterns. 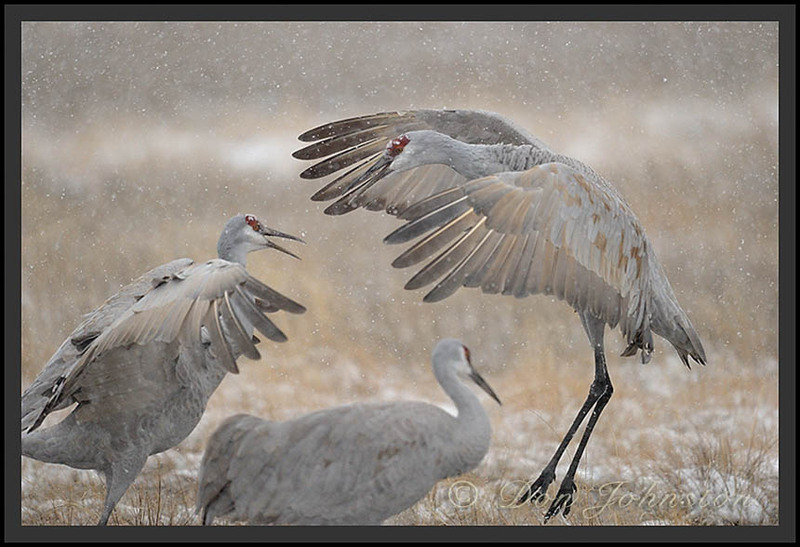 The unusual conditions created by that memorable winter blizzard persuaded me to divert my attention from the birds, for periods of time, to capture some amazing scenes, without feathers. Here is a small selection I hope the reader will enjoy. Greetings from snowy New Mexico! 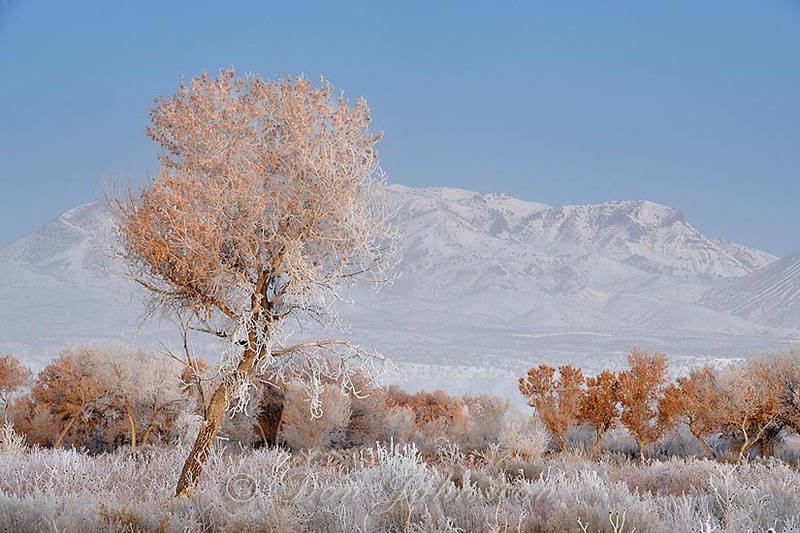 We are staying at a motel in Socorro that is about 20 minutes from world famous Bosque del Apache National Wildlife Refuge. 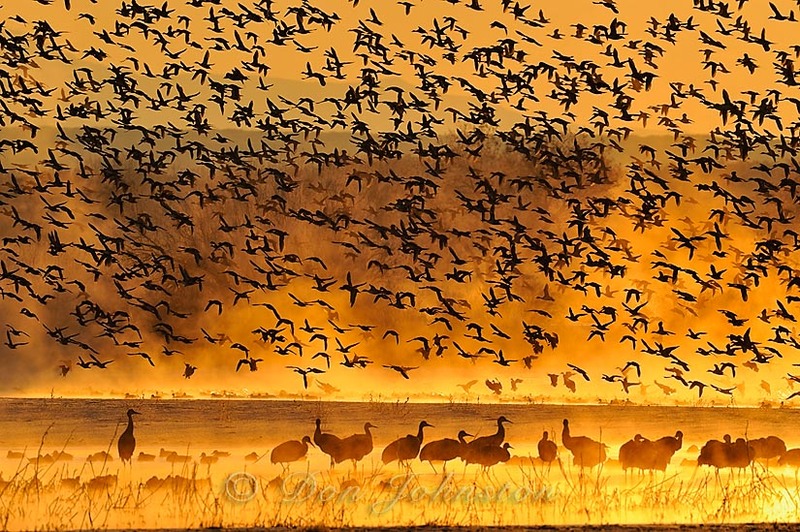 Bosque draws bird photographers in their thousands to see and photograph spectacular congregations of snow geese and sandhill cranes, along with other avian species plus a few mammals too. 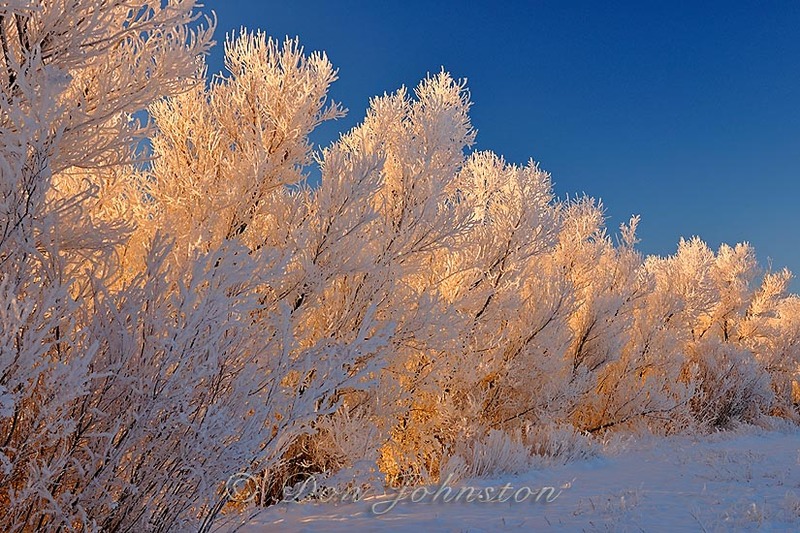 This area was hit hard by a slow moving storm out of Arizona that dumped 25 cm of snow, forcing road and school closures. Worse still was the closure of Bosque (now re-opened). The local residents don’t have the snow removal equipment and resources that we are accustomed to in Northern Ontario. As the saying goes “necessity is the mother of invention”. We saw one person ‘blowing’ his driveway clear with an electrically powered leaf blower. Wild weather brings many photo opportunities. This refuge and its birds have been photographed very well, over many years, a billion times. Those of us capable of braving the weather had the opportunity to depict the birds in unusual conditions- a howling blizzard and its aftermath. Now that the Park Service plowed the loop roads the facility has re-opened. It is still quite cold by NM standards. 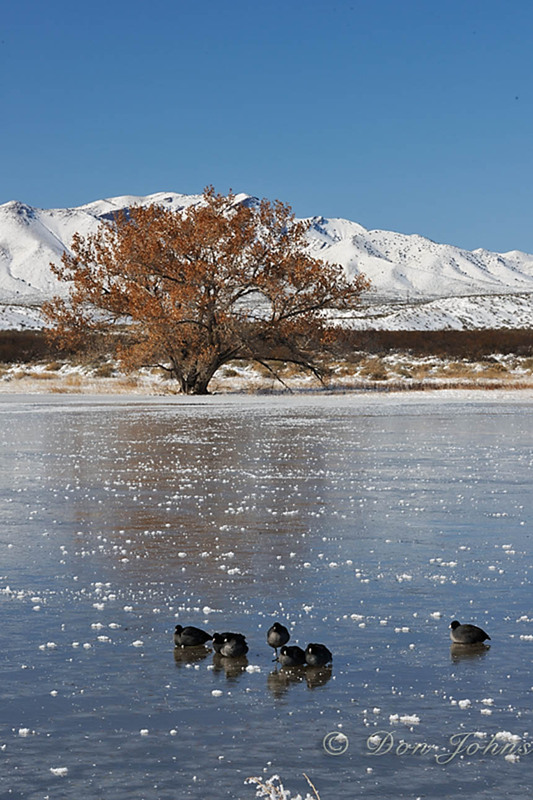 The birds are accustomed to roosting in shallow ponds at night and these ponds are presently ice covered. 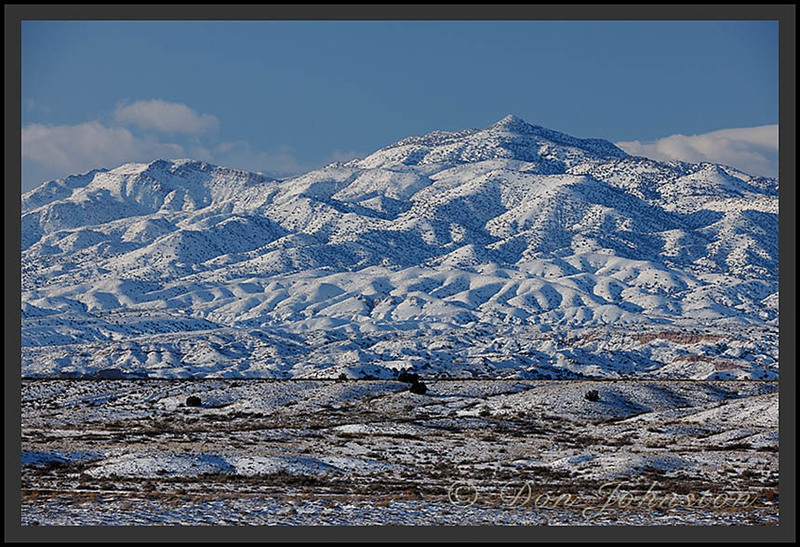 Fresh snow on the Mountains near Socorro. It’s not all about cranes. There are thousands of snow geese and ducks as well as other species of raptors and waterfowl. These coots were huddled on the fresh ice.